Global insurance company, AXA, has launched one of the first ever commercial applications of self-executing smart contract technology aimed at the consumer insurance market. 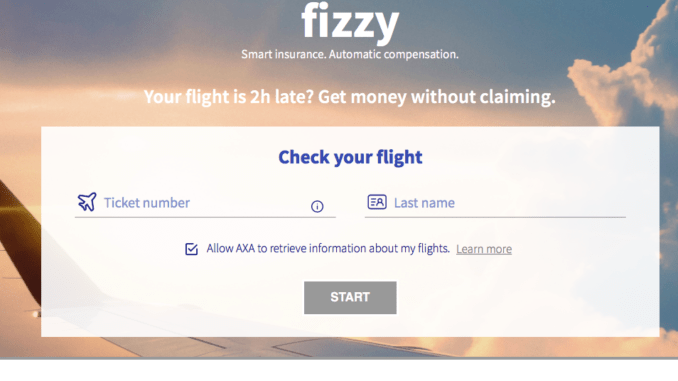 The smart insurance contract, which is based on the Ethereum blockchain and covers flight delays, is called fizzy and is openly available as of this month on flights between the US and Paris, France. While there has been a lot of talk about the use of legally compliant smart contracts at a theoretical level, insurance giant AXA and its team have charged ahead and launched a smart contract system to repay airline customers if they miss their flight or it is delayed by more than two hours. 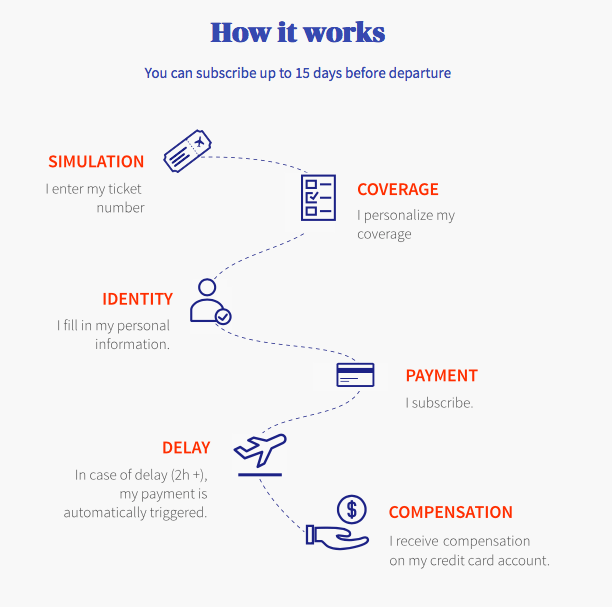 It does this by creating a smart contract with your flight details, which you fill out online when you buy the AXA/fizzy policy. The legally sound contract is placed on the blockchain and is designed to respond to official airline information, such as flight delays. Once a ‘real world’, verified input is received that the flight has been delayed, the contract is triggered immediately and self-executes and the consumer receives their compensation. AXA has said it intends to roll out this use of blockchain and smart contract technology globally in 2018, which is a further impressive step. While the use of smart contract tech for a flight delay may seem like a small step, this is a major development in terms of the wider adoption of the technology. First, this is a highly respected, global insurer creating legally compliant, self-executing smart contracts while many in the legal sector are understandably still debating what smart contracts should look like and how self-execution might work. And, secondly, they are so confident of the tech that they are selling self-executing smart contracts openly to the general public, even if the range of flights is limited at present. They are also making use of a ‘regular’ blockchain, in this case, Ethereum, rather than seeking to create a special proprietary, closed system, which is another vote of confidence in the security of pre-existing blockchain tech. And perhaps the most impressive aspect is that they have simply gone ahead and done this. They have not got stuck in endless internal debates as some banks have with their blockchain consortia, or got bogged down in a maze of regulatory paranoia. They’ve created it, found it works and gone to market. Hopefully this is the shape of things to come for many more smart contract applications, with many more major companies starting to use the technology. If you’d like to see a short video about how fizzy works, please see below.